1. 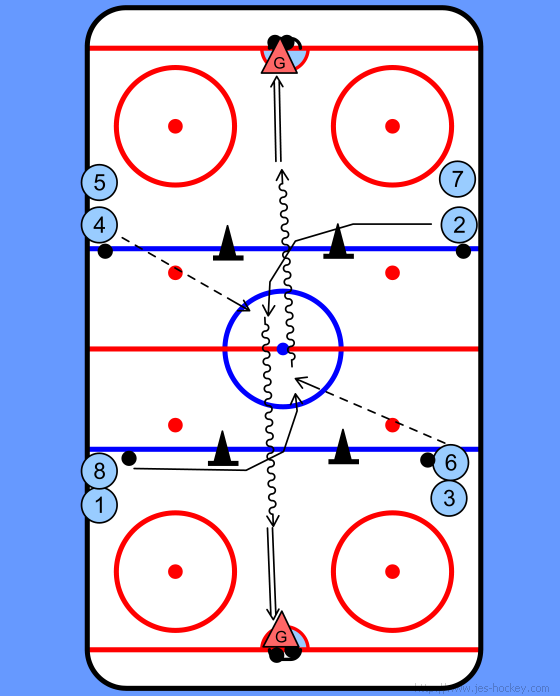 On Coaches whistle Players 3 and 5 follow pattern as shown and receive a lead pass from 1 and 7 respectively. 1. Same idea except have them go in between the pylons and receive the pass. 2. They really have to keep their heads up after they receive the pass or they will run into the oncoming player. 3. Leave on the Coaches whistle.